Are you always on your feet? Whether you’re at work or running errands, wearing quality footwear protects your feet and prevents injuries. Unreliable shoes can cause you to slip or fall especially when you’re treading on slippery floors. You may even sustain severe injuries as a result. Many workers from various lines of work face this situation everyday. Hazard-prone workplaces such as restaurants and construction require workers to wear non-slip shoes or boots to prevent accidents at work. The risk of hazards and accidents are further magnified in unfavourable weather conditions such as heavy rain and thunderstorms. It is important that workers keep their feet safe with quality safety shoes, especially those that work under dangerous conditions. Need a good pair of safety shoes but don’t know where to get them? Read our 2018 safety shoes guide and get the best brand name shoes for your needs. KPR (King Power) is one of the most prominent safety shoe brands in Singapore that is well-known for manufacturing quality shoes. The secret to their high-quality shoes comes from their direct injection process, which they use to mold the shoes during manufacturing. During direct injection molding, polyurethane (PU) is injected into the mold of the shoe. This process results in a sturdy shoe sole and better bonding strength. The polyurethane material keeps the shoes light, resists abrasion and makes them slip-resistant. This ensures that your KPR shoes are durable and able to last a long time. If your job requires you to be on your feet for long hours, you would need a comfortable pair of safety shoes. KPR not only prides themselves in producing shoes of quality, safety, and strength, they also focus on comfort. Their shoes are also lightweight, giving your feet the needed comfort even when you are on your feet the whole day. While most safety shoes are made with steel toe caps, KPR offers a non-metallic line of safety shoes. For this range of safety shoes, composite toe caps are used in place of steel toe caps. 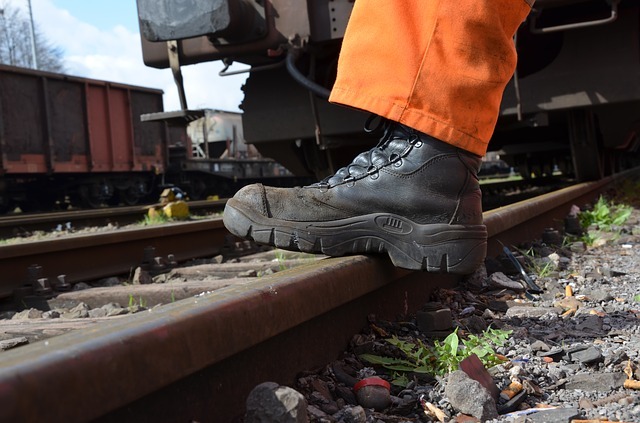 These industrial shoes offer extra wide toe cap for comfort and weighs lighter than regular safety shoes – all without compromising on safety. Safety shoes doesn’t have to look rugged and boring all the time. At KPR, they offer stylish and fashionable safety shoes. The different series of safety shoes cover a variety of applications and uses. Their executive line of safety shoes are suitable to be worn inside the office by working professionals. Using materials such as PU and leather for the exterior, you can protect your feet and look classy at the same time. Other than the executive line, KPR also offers the sports series which provides additional cushioning for extra comfort while incorporating all the features that you would expect in a safety shoe. Dedicated to providing good performance delivery and quality for its users, KPR shoes offer superior levels of comfort and safety. Not to be confused with the previous brand, King’s Safety Footwear is another equally reputable manufacturer of safety shoes. From the sole to the toe-cap, King’s uses only high-quality materials to manufacture their safety shoes. What makes King’s shoes so well-loved is the quality of their soles – both inside and out. The outsoles are slip-resistant with superior traction. This allows you to walk on different terrains while withstanding the effects of oils and acids. Whereas for the insole, King’s shoes incorporate an anti-static insole to reduce the risk of oil and sweat build-up from your feet. This insole is also anti-bacterial, preventing any fungal infections. For all-day comfort, King’s uses breathable fabric to line their safety shoes. This allows for proper ventilation and prevents retention of moisture in the shoes. King’s shoes are made with a 200-joule steel-toe cap to protect your toes against heavy weights. This cap is impact and compression resistant, protecting your toes from hazardous or falling objects. King’s Safety Footwear comes in a variety of styles to cater to different users. You can either choose a classic and sleek black shoe for a professional look. Alternatively, you can opt for a more stylish option with different colors and cuts. King’s shoes are ideal for use anywhere, by anyone, in any industry. D&D Safety Shoes offers shoes that are of quality and affordable. If you want long-lasting shoes for use in the workplace, these shoes are ideal for you. D&D’s quality comes from their insoles. Their insoles are made of ethyl vinyl acetate (EVA). When used in shoes, the insoles become slightly firmer than regular insoles. This helps to maintain the quality and support of the shoes for long-term wear. D&D uses different materials to line the upper for different models of shoes. The use of tanned leather for the upper makes the shoes more durable and less susceptible to damage especially during extreme weather conditions. As for other models, like the D&D Safety Shoes 01818, grained leather is used instead. Being the most durable type of leather, this material ensures that your safety shoes is able to withstand strong impacts and weights. You no longer have to opt for the conventional lace-up shoes. Ranging from casual sneakers to boots, D&D offers a wide selection of shoe styles that is sure to keep your feet protected. KaiTheGent models its brand as offering stylish shoes without compromising on safety. Distinct from the other brands mentioned on this list, they offer bolder styles for the eccentric. Even with their modern and funky shoes, KaiTheGent provides optimum foot protection. KaiTheGent is a proudly made-in-Singapore company set up in 2016. The owner, Kai, noticed industrial shoes offered incredible safety, but compromised on comfort. Despite giving protection, regular safety shoes made the feet feel hot, sweaty and uncomfortable. He also noticed a lack of style in the safety shoes offered in the market. To offer more options for consumers, KaiTheGent created the sports safety shoes – incorporating performance and modern aesthetics into safety. What is unique about them is the materials they use to manufacture their shoes. Instead of using commonly-used materials such as polyurethane, KaiTheGent uses rubber for the soles of the shoes. Rubber is a good substitute as it increases sole traction and durability. It is also anti-slip and ideal for all types of weather conditions. Known to be a more breathable material as compared to other sole materials, rubber also provides extra comfort for the wearer. While the use of fabric and leather in safety shoes are common, KaiTheGent uses mesh to line their shoes. Mesh not only gives these shoes their sporty and contemporary look, it is also able to expand the shoes for movement. Additionally, it promotes air circulation, preventing sweat and oil build-up within the shoes. Differentiating itself from other brands and revolutionizing traditional safety shoes, KaiTheGent is an up and coming brand that everyone should keep a look out for. Safety Jogger is a global brand and has become one of the most reputable safety shoes manufacturer in the world. Safety Jogger has a wide range of safety shoes for all purposes. These include hiking, racing, F&B, and even fashion. Their soles are not only antistatic and anti-slip against oil and other liquids, they are also puncture resistant. This protects your feet from sharp objects which may potentially pierce through your shoes. Furthermore, the cleates on the outsole provide added traction, making it easier for you to tread on rocky or slippery surfaces. Protecting your feet from external hazards such as sharp or heavy weight objects is important but it is also vital to prevent musculoskeletal foot injuries. Such injuries may result from lack of cushioning and excessive foot movement like prolonged walking on hard floors. To prevent this, Safety Jogger shoes come with with shock absorbent soles. This provides comfort and protects your feet from injuries during high-impact activities such as running. This provides comfort and protects your feet from injuries during high-impact activities such as running. The shock absorption comes from the polyurethane material used. Safety Jogger uses double density polyurethane for optimum shock absorption. Since these shoes provide optimum performance, they’re heavier than traditional shoes. Despite so, Safety Jogger shoes are still comfortable and breathable as materials such as mesh and latex are used. Their shoes are also lined with materials such as Coolmax for maximum comfort and breathability. Gone are the days where safety shoes are heavy, bulky and boring. With new technology and better resources and materials, safety shoes are now lightweight and comfortable. They even come in fancy and stylish designs which makes them wearable even outside of work. Regardless of the design or colour of your shoes, safety is still of utmost importance when choosing the suitable safety shoes. Having the right safety footwear is important. Take a look at our catalog for our extensive selection of safety shoes from leading brands. 3 Procurement Pitfalls you Need to Steer Clear from!